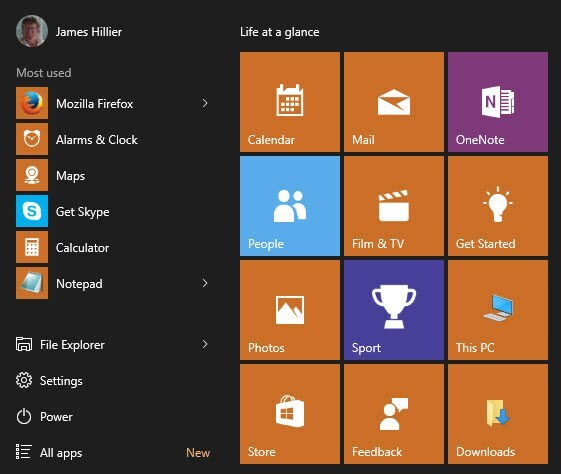 Much to the chagrin of many people, the traditional Start Menu was dropped from Windows 8 and 8.1 and replaced by a Start Screen. As you would no doubt be aware by now, the Start Menu is back in Windows 10, albeit in a very different format. 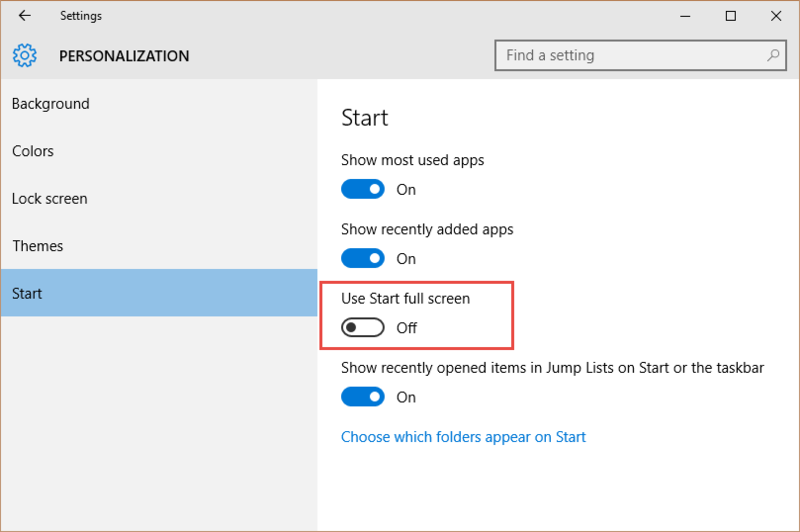 There is still an option to go full screen if you’d prefer but the new Start Menu displays as a popup overlay window by default. 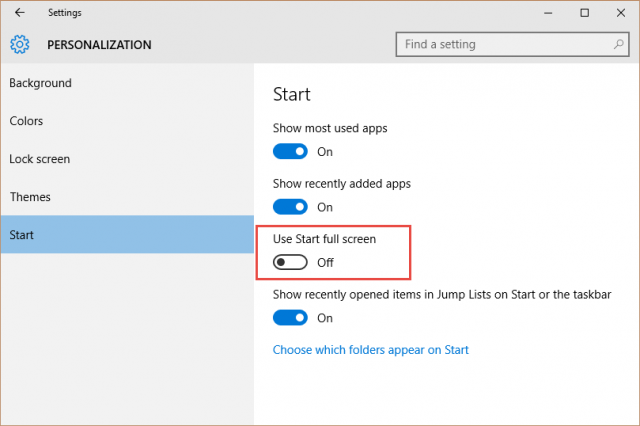 If you’d prefer the Windows 8/8.1 style full Start screen – go to Start>Settings>Personalization>Start and turn on the option to “Use Start full screen”. NOTE: The “All apps” item at bottom left. 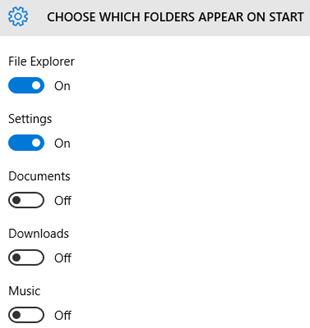 This provides a very similar function to the old “All Programs” button, opening a list of all installed applications in alphabetical order. As you can see from the above screenshot, there are also options to choose a transparent background as well as a high contrast color scheme. 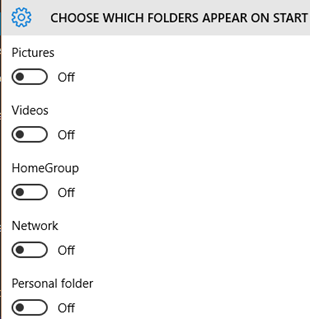 These then are the Windows 10 Start Menu’s basic customization options, no doubt I’ll come across more as time goes on. If you know of any further customizations that haven’t been mentioned here, please let us know via the comments. 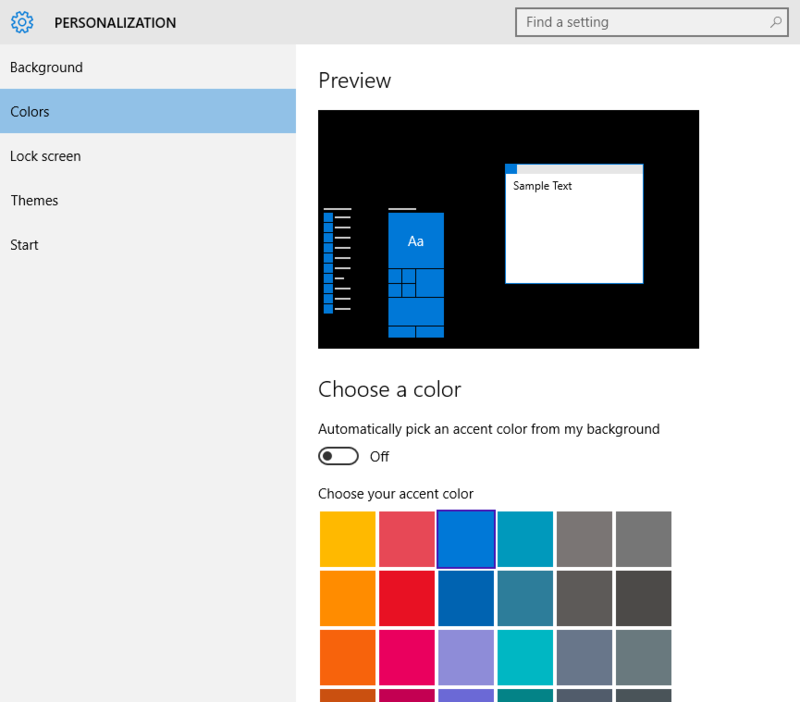 *All included guides/settings pertain to Windows 10 Pro Insider Preview, build 10162. 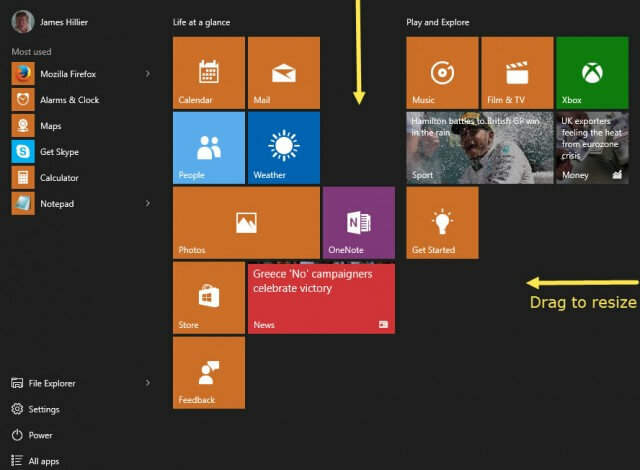 I know it is a matter of liking but I just use full page start like in W8.1. All this is well and good, but what can be done with a list of applications in alphabetical order. How to remember the name of each application you use from time to time only if you have many (especially at my age!). I always prefer a classification by categories of apps. 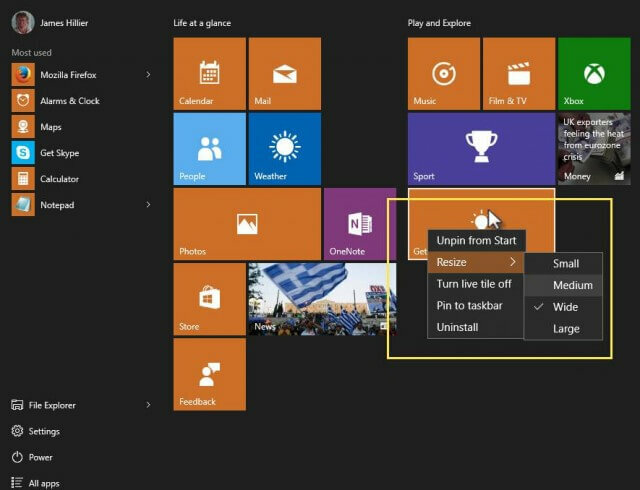 With forced updates for the Home edition, it will probably the reasons why I will stay under win 7 and win 8.1. Can’t work out how I’m suppose to get favourite websites off the internet onto my tiles? I open them on google chrome. Hi John – Not surprised you’re having a problem working it out mate, it’s a fairly convoluted process with Chrome. Thanks, I’ll let you know in a month’s time how I got on!!!!! !